Are you ready to rumble? Coming soon to knock out prostate cancer is boxing legend and five-time heavyweight champion of the world, Evander Holyfield. Since his retirement from boxing in 2011, Holyfield has dedicated his time to philanthropic activities through Team Holyfield, and will be featured in a public service announcement for the Prostate Cancer Foundation that encourages African-American men to get regularly checked for prostate cancer. Providence-based multi-disciplinary brand culture and communications firm (add)ventures will direct, film and edit the public service announcement – donating a significant portion of the public service announcement’s production costs. Holyfield is donating his time on the public service announcement – an endeavor that marks his commitment to serving as a goodwill ambassador for the Prostate Cancer Foundation. The public service announcement, which will be filmed on May 28 at a location to be announced, will feature Holyfield in his natural element – the boxing ring – as he tells his story of perseverance in the ring and in life. The piece will showcase that while strength, speed and stamina can be drawn upon to beat an opponent in the ring, other resources must be used when fighting an unseen force like prostate cancer – an opponent that could wind up causing a fight for life. 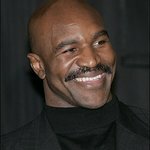 The public service announcement will include a message from Holyfield that encourages African-American men to get checked for prostate cancer and directs them to www.pcf.org, the Prostate Cancer Foundation’s website. 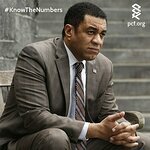 Prostate cancer is the most common non-skin cancer among men, affecting a staggering one in seven men in the United States. Studies point to several factors that could influence an individual’s chance of developing prostate cancer including age, race and family history. Among the reasons that prompted Team Holyfield to champion prostate cancer awareness is the fact that African-American men are 1.6 times more likely to develop prostate cancer than Caucasian men, and 2.4 times more likely to die from the disease. Since hanging up his gloves in 2011, Holyfield has dedicated himself to doing service-based work that reflects his values and strong faith, which led him to establish Team Holyfield. Team Holyfield’s mission is to create and sustain relationships with individuals, companies and organizations that support altruism, community relations and humanitarian efforts and reflects Holyfield’s core values of “faith, family, foundation and future.” Holyfield is particularly interested in supporting initiatives that affect the African-American community. Prostate cancer is one such initiative. Upon learning of Team Holyfield’s interest in the cause, (add)ventures President and CEO Steve Rosa conceptualized a national awareness campaign around prostate cancer with the donation of (add)ventures’ public service announcement effort as part of his firm’s corporate philanthropy program – (add)love. Home Run Challenge PSA - "I'll be right here"